It's easy for businesses to keep track of what we buy, but harder to figure out why. Enter a nascent field called neuromarketing, which uses the tools of neuroscience to determine why we prefer some products over others. Harvard Business School marketing professor Uma R. Karmarkar explains how raw brain data is helping researchers unlock the mysteries of consumer choice. centers via a lever-activated electrical current, they pressed the lever over and over again, hundreds of times per hour, forgoing food or sleep, until many of them dropped dead from exhaustion. Further research found pleasure centers exist in human brains, too. Most humans are a little more complicated than rats. But we are largely motivated by what makes us feel good, especially when it comes to our purchasing decisions. To that end, many major corporations have begun to take special interest in how understanding the human brain can help them better understand consumers. Enter a nascent but fast-growing field called neuromarketing, which uses brain-tracking tools to determine why we prefer some products over others. "People are fairly good at expressing what they want, what they like, or even how much they will pay for an item," says Uma R. Karmarkar, an assistant professor at Harvard Business School who sports PhDs in both marketing and neuroscience. "But they aren't very good at accessing where that value comes from, or how and when it is influenced by factors like store displays or brands. [Neuroscience] can help us understand those hidden elements of the decision process." To be sure, there is a clear difference between the goals of academia and the goals of a corporation in utilizing neuroscience. For Karmarkar, her work falls into the category of decision neuroscience, which is the study of what our brains do as we make choices. She harbors no motive other than to understand that process and its implications for behavior, and draws on concepts and techniques from neuroscience to inform her research in marketing. When tracking brain functions, neuroscientists generally use either electroencephalography (EEG) or functional magnetic resonance imaging (fMRI) technology. EEG measures fluctuations in the electrical activity directly below the scalp, which occurs as a result of neural activity. By attaching electrodes to subjects' heads and evaluating the electrical patterns of their brain waves, researchers can track the intensity of visceral responses such as anger, lust, disgust, and excitement. Karmarkar cites the example of junk-food giant Frito-Lay , which in 2008 hired a neuromarketing firm to look into how consumers respond to Cheetos, the top-selling brand of cheese puffs in the United States. 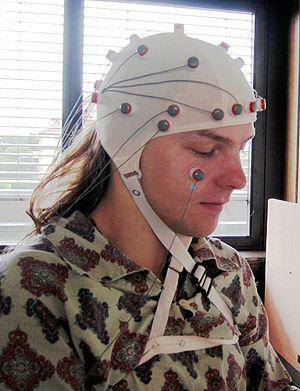 Using EEG technology on a group of willing subjects, the firm determined that consumers respond strongly to the fact that eating Cheetos turns their fingers orange with residual cheese dust. In her background note, Karmarkar cites an article in the August 2011 issue of Fast Company, which describes how the EEG patterns indicated "a sense of giddy subversion that consumers enjoy over the messiness of the product." That data in hand, Frito-Lay moved ahead with an ad campaign called "The Orange Underground," featuring a series of 30-second TV spots in which the Cheetos mascot, Chester Cheetah, encourages consumers to commit subversive acts with Cheetos. (In one commercial, an airline passenger quietly sticks Cheetos up the nostrils of a snoring seatmate. Problem solved.) The campaign garnered Frito-Lay a 2009 Grand Ogilvy Award from the Advertising Research Foundation. Karmarkar notes that EEG and fMRI have different strengths and weaknesses, and that EEG has some limitations in its reach. "The cap of electrodes sits on the surface of your head, so you're never going to get to the deep areas of the brain with EEG," Karmarkar explains. The fMRI uses a giant magnet, often 3 Teslas strong, to track the blood flow throughout the brain as test subjects respond to visual, audio, or even taste cues. The technology has its own logistical limitations. Running an fMRI scanner costs researchers up to $1,000 per hour, and studies often use 20-30 subjects, Karmarkar says. And while EEG lets subjects move around during testing, fMRI requires them to lie very still inside a machine that can be intimidating. "This is a sophisticated piece of medical equipment that exerts a very strong magnetic field at all times, and it's important to be very careful around it," Karmarkar says. "For example, you cannot take metal into a magnet room!" But fMRI is invaluable to neuroscience and neuromarketing in that it gives researchers a view into the aforementioned pleasure center. "The more desirable something is, the more significant the changes in blood flow in that part of the brain," Karmarkar says. "Studies have shown activity in that brain area can predict the future popularity of a product or experience." In her note, Karmarkar discusses research by Emory University's Gregory Berns and Sara Moore, who connected the dots between neural activity and success in the music industry. In a seminal lab experiment, teenagers listened to a series of new, relatively unknown songs while lying inside an fMRI machine. The researchers found that the activity within the adolescents' pleasure centers correlated with whether a song achieved eventual commercial success. The OneRepublic song Apologize performed especially well in both the brain scans and the market.